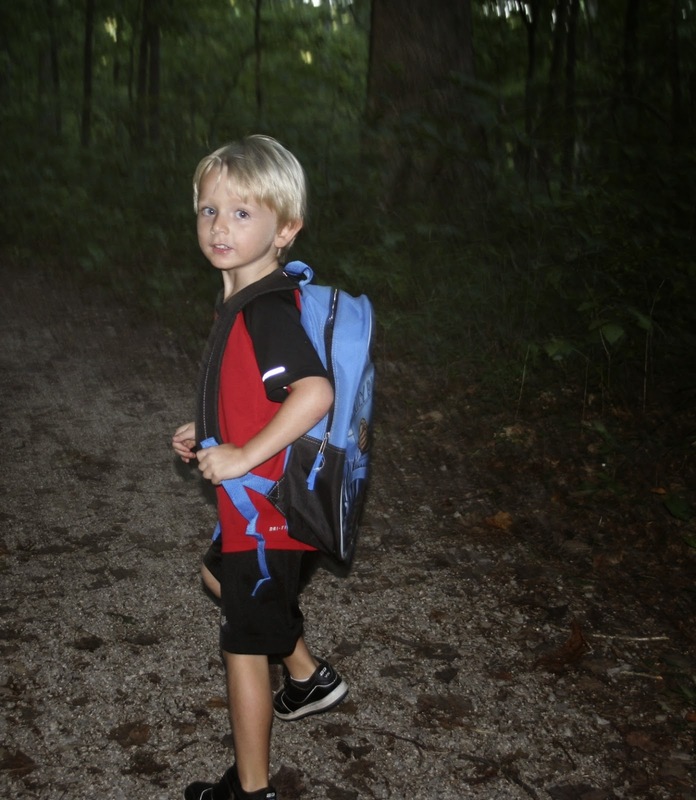 Eric and I love to hike, so we've taken Eli along on our adventures since he was very young. It's never been an issue…and then there were two. We've never ventured out on to the trails with both kids, until tonight, and I have to say that it was a blast. We chose a fairly short trail with mostly even terrain so that Eli could easily keep up with us. Mammoth Cave National Park is 15 minutes from our house, so we have plenty of trails at our finger tips. Eli was thrilled to walk, and even asked to carry a backpack like Eric. We saw a snake, turkey, deer, frogs, squirrels and birds. Eli was enthralled, and Ellie squealed the entire time. She may love the great outdoors, but ya'll, she had to wear her pink beads. Ha! The trail leads to this incredible overlook of the Green River. The view was magnificent, as always, but I think the lighting was particularly tranquil. What's so incredible is the fact that both kids were still and they soaked in the sight. Before finishing the loop, we took a quick snack break and let Eli look into a small cave entrance. Ellie started getting a little fussy on the way back, so we picked up the pace. Ya'll, I am out of shape!! Back at home I gave baths while Eric cooked supper…then it was off to bed.